One of my daily practices is to remember to look for the good no matter what is going on in my life. It helps a great deal that I’m married to someone who does his best to remind me of this on a regular basis. It also helps that I am a naturally optimistic person, in good health, with many other lifestyle advantages. But even then, I still need to be reminded on a regular basis to stay focused on what’s good, rather than its opposite. 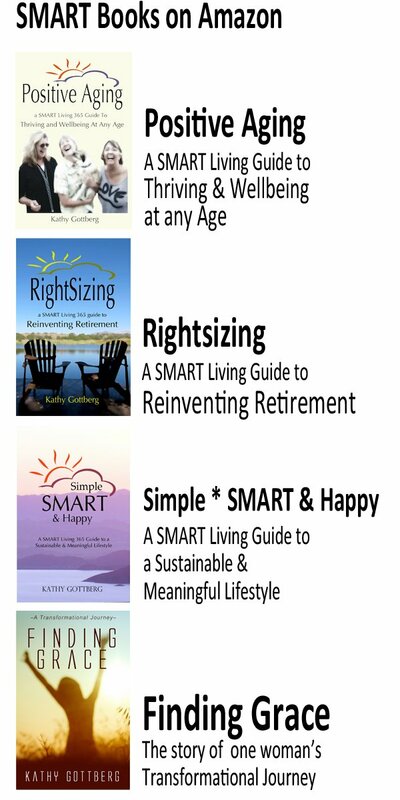 That’s why nearly all my writing here on SMART Living 365 serves to re-enforce the positive over and over. Still, what I seldom acknowledge is the huge helping of grace that makes it all possible. I don’t use the word grace much in my writing. I’m aware that it is a trigger for some people like my husband Thom, to a former religious perspective that created pain and skepticism rather than comfort. 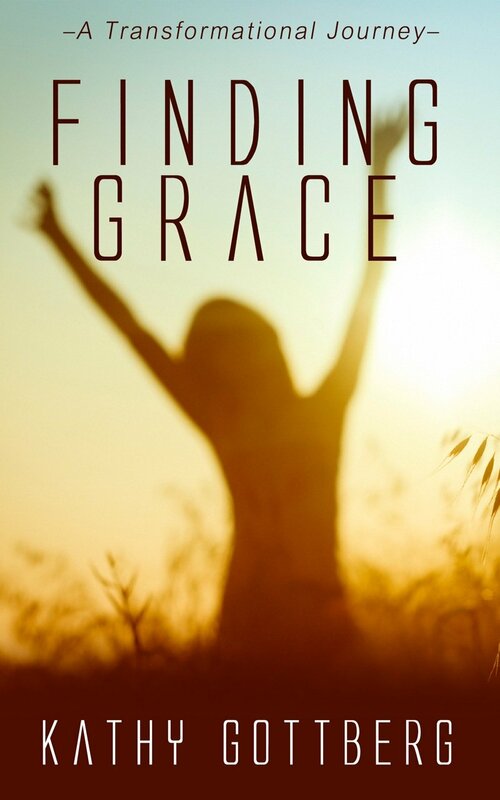 I certainly never intended to use the word in the title of my first work of fiction, Finding Grace. But after the main character ended up naming herself, and as her journey unfolded, no other title came even close to fitting as well. That’s how grace often works. When we follow the trail of what seems to be good, we end up with the grace of unexpected gifts. How do I define grace? While the usual definition attaches all sorts of religious interpretations to the word, it is equally possible to accept it as a commonplace way of describing a serendipitous stream of unexpected good. In a similar way that the word graceful is used to define elegance, refinement, and flow, grace-full can be used to describe an unhindered movement toward the unexpected and unearned rewards of a happy and fulfilled life. Without giving much away, the “Grace” in my novel is a woman who, while exploring her options and searching for happiness, eventually finds the treasure within herself. That goal is one that is worthy for us all. But like I repeatedly write, it takes a bit more than saying you agree with me to make it a habit. It takes an ongoing practice. 2) Let go of the idea of original sin and embrace the concept of original blessing. Another teacher I studied in the past was a priest named Matthew Fox. Central to Fox’s teaching is an idea called Creation Spirituality where he suggests “The Universe is fundamentally a blessing.” Citing what he calls an ancient wisdom tradition that embraces both the latest in scientific understandings, along with mystical teachings from around the world, Fox celebrates the good. While traditional religions tend to see “sin” as the norm, and goodness the exception, Fox argues for the message that goodness and continuous grace are the norms, and “fallenness” the exception. Fox doesn’t deny that evil exists, or that sin is evident in the world. Instead, he continually puts the focus on the Light, Love and Creative passion that he attributes to God. Instead of letting the dark side of humans (or God) seek to control us or beat us into submission, he suggests we celebrate and focus on the good, beauty and love that helped to create everything that exists. Whether we choose to see the world according to Fox’s definition or a more traditional religious perspective, it boils down to Albert Einstein’s question: “Do you believe you live in a friendly universe or not?” A friendly universe overflows with unexpected goodness or grace. Our thinking decides how we see it and the choice is ours to make. 3) Stay flexible and open to change and possibility. I’ll admit that the longer I’m on the planet the more tempting it is to think I know things. Like you, I have quite a bit of experience in certain areas, I’ve read a ton of books and studied several areas of interest throughout my life. But just remember how boring it is to be around anyone who thinks they know everything. A mind that thinks it knows everything has no room in it for grace. Learning, growing and staying open to change is actually where many of us touch our creativity and imagination. Those attributes go hand-in-hand with a mindset that believes that we all are creative beings with something unique and wonderful to offer the world. As we allow our imagination to lead us in new and unexpected ways, we often stumble upon more grace that we ever could have planned. 4) Spend time in nature or a places of incredible beauty. A couple of weeks ago I wrote about the experience of awe or wonder and how important it is to our psyche. There’s a good possibility the reason it is such a necessary element to our happiness is that it leads to grace. It is almost impossible to be in a place of incredible beauty without feeling something deep within that extends far beyond the routine of every day. When I wrote my novel Finding Grace over ten years ago, it was with these five elements in mind. While it took my character Grace quite a few years, she eventually finds the grace she was seeking as close as to her as her own breath. I believe we all hold the same potential. And while it might not always be easy or clear, it is SMART to remember to look for goodness each and every day. When we do, we’ll see that grace has always been there waiting patiently for us to notice. 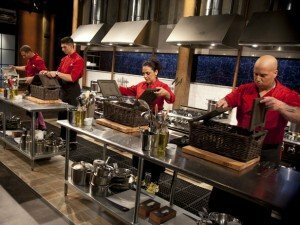 7 Life Lessons From An Episode of Chopped! I have often pondered the word “grace”. Sam Baker, a singer/songwriter from Texas, has a song and an album titled “Say Grace”. And like you say, grace can be found in the most unexpected places. Sam will say that to say grace is to say thanks. Congratulations on publishing your first work of fiction, Kathy! “Grace” is a beautiful word with all kinds of wonderful interpretations. I look forward to reading your book! Of all your tips, no.5, perhaps is the best of all, as gratitude is truly transforming. i am glad I practice all of them, though. Thank you! I’m so glad you made the point about finding grace in places of beauty and nature. For me, I often find the most serenity when I allow myself to just soak in the splendor and let myself be one with it. I spend my morning walk in gratitude and meditation. I am so fortunate and blessed to live in one of the most beautiful places in the world, and to have my health, family and friends. I live in grace every day; there’s no other way for me to live. Looking for it, expecting it, and being thankful for it go a long way toward manifesting in my life. The one thing that stuck out at me on your post is to be grateful, daily 🙂 Being grateful every day is a must if you want to have more peace in your life 🙂 Really makes a huge difference. I know for me when I started writing in a gratitude journal daily and consistently, I just felt more centered and more calm. Great post! Being grateful, spending time in nature and watching my thoughts spoke to me… Good reminders! How beautiful is this blog and this comment – A friendly universe overflows with unexpected goodness or grace. Our thinking decides how we see it and the choice is ours to make. “We all have within us the ability to move from struggle to grace.” I think I was born knowing this. Life threw me many curves and I have not complained or faltered but found my way to joy, happiness and grace. I have gratitude for all the good things & people in my life and know I have and still do make a difference in the lives of many. With advancing years comes wisdom. I live by the motto, ‘I could die tomorrow and know I’ve lived a meaningful & happy life.’ Is this grace? What a beautiful post. It’s so important for us to remember, or take time out to focus on being positive, grateful and aware of this beautiful universe around us. Problems will always arise but if we are in the right mindset, we’ll be able to deal with them much easier. No. 4 really spoke to me. You described exactly how I feel when I can behold the beautiful and miraculous. Kathy, this is a beautiful post and I, for one, choose to live in a friendly universe. Finding grace does take hard work and determination and I still strive for it – some days closer than others. I love Matthew Fox’s thinking regarding focusing on the light and the good. Staying flexible and grateful are keys towards grace for sure and being in and of nature is truly one of life’s greatest blessings. 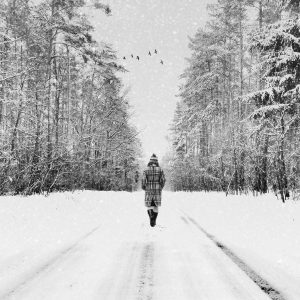 I really loved this post, Kathy and admit I have been fascinated by the idea of grace, searching for a definition that really spoke to me. Although all your points resonated, I am absolutely on board with numbers 3 and 4. Yes, to living in a place of awe and wonder and curiosity, I’d add. And staying open to as I call it, ‘the future that is coming towards us”, really is something I’ve learned to embrace in my life as well. Reading this I felt you would enjoy my piece on Rediscovering Our Humanity Through Nature too. Thanks for this lovely post! Thanks for the reminder. I rather be positive but sometimes I can get sad. Thinking too much tends to be the issue. I rather not move rocks but when I clean it helps me clear my mind as well and see the gratitude of everything. 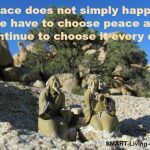 I think that resonates with the Buddha’s teaching – it’s all information, we’re not meant to stay there, in fact, the opposite: the pain is meant to help us get out of there! A great blog post and happy to read it. Very positive and can relate to train your mind because this is so important in everyday life. I am having a problem with website and training my brain to be positive since I am not a technical person. 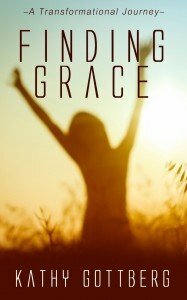 Finding Grace (love the sound of this novel!) in all things is something I’ve been mindful for for a while now. Not always easy, but oh, my, has it changed my life. Now when something perceived as negative occurs, I know it holds a blessing. For me, anyway, the essence comes down to I either trust the Universe or I don’t. And as Einstein said, I do believe I live in a friendly universe. Kathy, I started reading ‘Finding Grace’ last night and I love it. I’ll do a review as soon as I’m done reading it, which will be soon. Your post really resonated with me. All my attempts to be ‘good’ resulted in nought until I opened myself to grace and gratitude. Some excellent points here, Kathy! My beliefs in Christianity tell me that “For by grace you have been saved through faith. And this is not your own doing; it is the gift of God,” Ephesians 2:8. Many might think this is a narrow viewpoint. Since we live in a fallen world, bad things happen to good people. Will that notion beat me down? Nope. Because of this very faith, I AM optimistic and grateful for everything I have and for everyone in my life. Reminds me of the old story about how we all have two wolves fighting inside of us — a good one representing generosity, compassion and optimism, and an evil one focused on anger, resentment and bitterness. Which one wins? The one you feed. Another thought provoking post Kathy – there is so much we can do to help ourselves see the good in life. It’s what we focus on and how much grace we extend to ourselves and others that really counts. I never thought of you as a novelist – you certainly wear a lot of hats! I really enjoyed this post. #2 is the one that resonated with me the most. Sometimes it is difficult to see the good in the world when so much tragedy is occurring around us. I have to remind myself to turn off the news and get away from the computer just so I can absorb what IS around me and not what is going on in the world (which can truly overwhelm your mind). Didn’t know you had written that book. How incredible!! Love the title too. Is this a new release, Kathy? Congrats! I love the cover and obviously a great subject. Grace is always in style. I didn’t know you wrote a work of fiction years ago. Good on you! You are very gracious and much more full of grace and patient than I ever could dream.When I hear the negative grumblings of the privileged I want to dope slap their first world heads! Love the ORIGINAL BLESSING versus O. Sin. Great thought, one I will cling to. 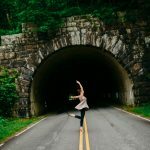 “When we follow the trail of what seems to be good, we end up with the grace of unexpected gifts.” I just love this post! Thank you! To me, #2 is everything. I am constantly running mini social experiments in my head while I observe and interact with people who put more emphasis on foe than friend, and fear than freedom. It’s interesting to look at the outcomes. They’re not often happy, and they’re not often successful, either. I’m sure there’s some hard data out there to back that! Thank you for the thoughts. It can be hard to find the blessing in the dark spaces, but it can be done. 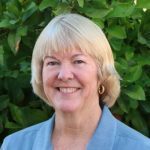 I so enjoy your blog Kathy. I feel like we are kindred spirits on this journey called life.